The inaugural issue of Brine is now live! I’m proud to have my poem, “Origami People,” featured in this first issue. It is available online now and a print version will be available asap. Brine received 500 poems, of which 38 were chosen. To read this issue of Brine, just visit the Pickling Poet’s poetry page here and click the PDF icon. I’ve gone over had had a read through of the poems and am impressed by the quality and variety of work represented. Their next call for submissions will open up on June 1st but don’t submit until then. They will be switching to Submittable to streamline their selection process. The poems from Brine will be randomly selected for inclusion with orders of gourmet, hand crafted pickles as well as have a chance to be selected for the Brine’s yearly anthology. We taste tested some of these pickles earlier in the month, and will give our review tomorrow. All the pickles we tasted scored high. Angela Yuriko Smith's work is published in print and online publications, including “Horror Writers Association's Poetry Showcase” vols. 2-4 and “Where the Stars Rise: Asian Science Fiction and Fantasy” anthology. 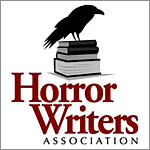 Her novella, Bitter Suites, is a 2018 Bram Stoker Awards® finalist. Her first collection of poetry, “In Favor of Pain,” was nominated for an 2017 Elgin Award. All her books are available on Amazon. Currently, she publishes Space and Time Magazine, a 52 year old publication dedicated to fantasy, horror and science fiction. For more information visit SpaceandTimeMagazine.com. This entry was posted in #AMWRITING, #KCLocal, #MakeItLocal, #Poetry, #Submit. Bookmark the permalink. Thank you for the share. Definitely get back to writing poetry. I’d love to see some.